The issue on appeal was whether the daughter was bound by her mother’s agreement to arbitrate. The federal appeals court determined that the issue depends on the state’s characterization of wrongful death claims. The court explained that there is no controlling precedent that answers the question and that it was not clear what the state court would do. Therefore, the appeals court certified the issue to the Massachusetts Supreme Judicial Court (SJC), in effect asking the SJC to take up the question and make a decision. Many nursing homes have residents sign admission agreements when they enter their facilities. These agreements often protect nursing homes by allowing them to decrease the costs of litigation and, in some cases, secure a more favorable forum. Some agreements are not enforceable for one reason or another. 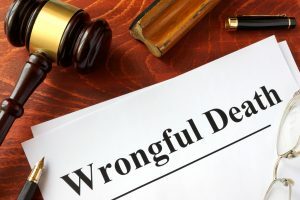 However, for agreements that are enforceable, this decision of the state’s supreme court will decide whether those agreements will be binding on a resident’s heirs in a wrongful death case. If you or a loved one has been injured and believe someone else may be at fault, you may be entitled to compensation for your damages. Neumann Law Group provides experienced legal representation in Massachusetts wrongful death claims, slip-and-falls, motor vehicle crashes, and other types of personal injury and premises liability claims. The Neumann Law Group can help you by developing a strategy that is tailored to your situation. Contact attorney Kelly Neumann at 1-800-525-NEUMANN (800-525-6386) or fill out our online form to arrange a free consultation. Court Determines Germany Manufacturer May Be Liable in Massachusetts for Workplace Injury Case, Massachusetts Injury Lawyer Blog, February 22, 2019. Massachusetts Supreme Court Rejects Late-Filed Claim Despite Plaintiff’s Lack of Knowledge, Massachusetts Injury Lawyer Blog, March 13, 2019.